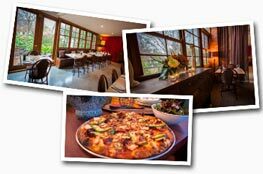 D’amicos offer an efficient Pizza and meal delivery service in Wangaratta and Corowa. Many Italian favourites can be ordered off the menu plus desserts! Prawns, scallops & clams cooked in a cream base sauce, topped w creamy cheese sauce. Panko crumbed & served with salad, chips, and aioli. Credit card accepted for deliveries or at time of ordering. EFTPOS available for pickup orders only. * Please be advised our menu may sometimes vary, due to change of seasonality or supply. We reserve the right to refuse delivery service to certain areas, apologies in advance for any inconvenience.